The sizeable donation comes on the back of another successful year for the brand in the UK, as demand for its 5th generation, Z-STAR / Z-STAR XVgolf ball continues to grow. 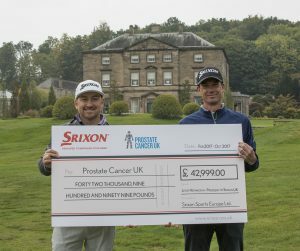 Brand ambassador, Graeme McDowell joined Srixon Europe’s Tour Manager, Iain Steele to pose for the cameras with a cheque showcasing the impressive final donation during a recent European Tour event. 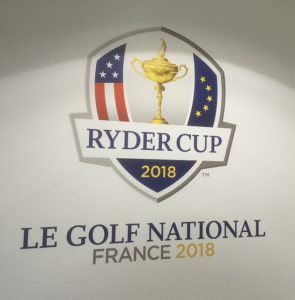 The Ryder Cup star and former U.S. Open champion personally played a key part in the multi-platform promotional campaign that spiked media exposure and drove sales. The ground-breaking partnership saw Srixon donate £1.50 for every dozen Z-STAR and Z-STAR XV golf balls sold at trade to Prostate Cancer UK, helping to raise funds as well as awareness of the life-threatening male-specific disease. To enhance awareness of the campaign and give its loyal customers more value, Srixon introduced a limited edition 15 ball ‘Z-STAR/ Z-STAR XV Bonus Pack’. This included an additional free sleeve of the new Z-STAR / Z-STAR XV, decorated with the iconic Prostate Cancer UK logo. “The partnership delivered on all levels and provided the perfect complement to the launch of the latest iteration of Srixon’sperformance-packed Z-STAR / Z-STAR XV golf ball,” he added. 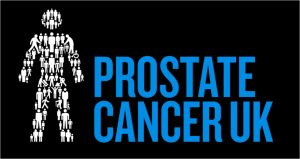 IMPORTANT FACT – One man dies every hour from prostate cancer! Astark statistic, given that the average length of a round of golf is five hours. The charity’s aim is simple: to stop men dying from prostate cancer. This will be done by shifting the science over the next 10 years to focus on radical improvements in diagnosis, treatment, prevention and support. As the way we consume media and buy products and services changes, it is now becoming commonplace for internet users to leave a golf club review for other consumers. So much so, that 78% of consumers now say they DO NOT make a purchase before doing research. 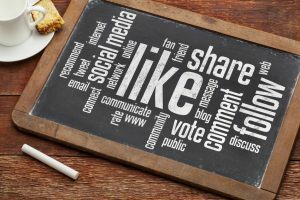 We asked Ian Mullins (MD of TheSocialGolfer.com), what makes for a good review? When writing a golf club review it is important that you are both object and fair in your judging criteria. In addition, it is important that your review is not based on the quality of the golf you played on the day but on the club and course itself. Clubhouse & Catering – Was the course easy to find? What is the history and provenance of the club? Is the Clubhouse clean and welcoming? Were the staff friendly? Was the food to your satisfaction? How were you treated by the staff in the Proshop? Were the changing facilities clean and tidy? Quality of the Course – Describe the layout of the course e.g. 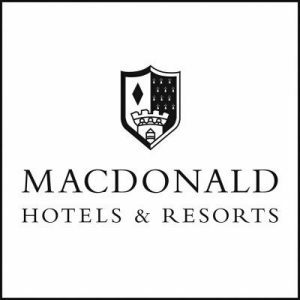 Parkland, Woodland, Links? What condition were the tee boxes, the fairways? Were the Greens well maintained? Was there good signage between the holes? Was there a particularly memorable hole you liked? Practice Facilities – Were there designated areas for Putting, Chipping etc. Was there a range? Do they offer tuition packages? Were the Pro’s on hand to advise you about the set-up and course? 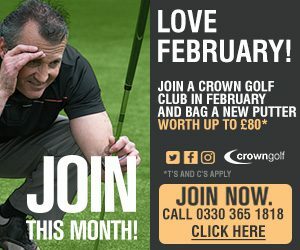 Is there information on club and course available? Value For Money – Give an account of the cost of your round. Did you take advantage of any offers? Was the overall experience matched by the Green Fee? Were you treated as a welcome visitor or an interloper? 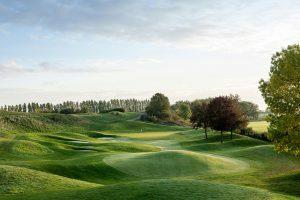 As we look ahead, like many other industries, golf club and golf centres around the UK and beyond, will have to start taking notice of their visitors, as well as their members. Leaving a golf club review after you have visited a course, not only allows you to remember your experience before returning to the club again but this is also a valuable service for your fellow golfing “nomads”. Finally, as golf courses become more and more reliant on visitors rather than members, we believe this will force all golf clubs to improve their service for all. 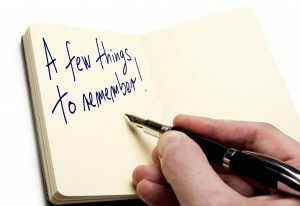 So next time you sit down to write a golf club review, either on thesocialgolfer.com or rival golf platform, think about who else may be reading it, and what information you would like to know, before booking a tee time. 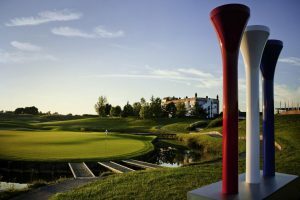 In the fourth in our series of articles on golf’s Major events, this time we turn our attention to the second oldest event in the golfing diary – The PGA Championship! In 1894, two golf events were held in the USA. The national championships for amateur golfers, held at Newport Country Club in Rhode Island with another at St. Andrew’s Golf Club in New York. In addition, and at the same time as the amateur event, St. Andrew’s conducted an Open championship for professional golfers. 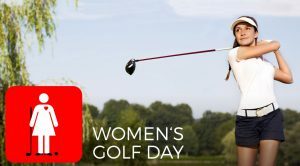 Later in that year, this led to the formation of the United States Golf Association (USGA), which became the first formal golf organisation in the country. After the formation of the USGA, golf quickly became a popular sport across the country. After the formation of the USGA, golf quickly became a popular sport across the country. 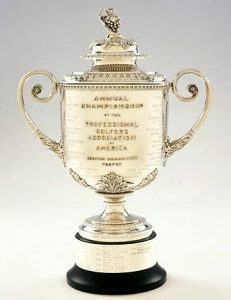 In February 1916 the Professional Golfers Association of America (PGA) was established in New York City. The organisation’s first president was Robert White, one of Wykagyl’s best-known golf professionals. The first PGA Championship was held in October 1916 at Siwanoy Country Club in Bronxville, New York. The winner, Jim Barnes, received $500 and a diamond-studded gold medal donated by department store owner Rodman Wanamaker. Originally played in MatchPlay Format but was changed to a Strokeplay event in 1958. Moving to the present day, the 2016 winner, Jimmy Walker received $1.8 million and was presented with the now famous Wanamaker Trophy. The benefit of winning The PGA Championship means you are automatically invited to play in the other three majors (Masters Tournament, U.S. Open, and The Open Championship) for the next five years. They are also exempt from qualifying for The PGA Championship for life. 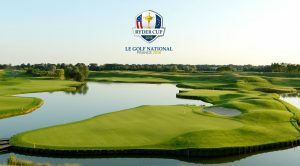 In addition, the winner receives membership on the PGA and European Tours for the following five seasons and invitations to The Players Championship (Played in May) for five years. However, as the Pro golf calendar gets more and more congested, there is now talk of this event moving to May, with the Players Championship moving back to March to make way. The idea here is that this leaves more room for the FedEx Cup and more space between this and The Ryder Cup at the end of Sept.
– The 70 leaders in official money standings on the PGA Tour. The 58th PGA Championship will take place at Quail Hollow on the East Coast in Charlotte, North Carolina. 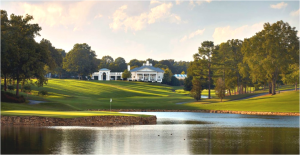 The course was originally designed by famed golf course architect George Cobb in 1961 to capture the beauty as well as the challenging terrain of the Piedmont region. It is considered by some to be one of the finest courses in the southeastern United States. In the intervening years, the course has undergone a series of improvements, including modifications to several holes by Arnold Palmer in 1986, and a redesign by Tom Fazio in 1997. The signature hole at Quail Hollow is the par four, 14th is a dog-leg left that can be driven with a good tee shot. It measures 346 yards from the championship tees. A 15-acre lake frames the left side of the hole and the rough on that side slopes down to the water. The narrow landing area measures about 27 yards across and is guarded with two bunkers on each side. The two-tiered green is long and narrow with about 7,100 square feet of putting surface. Two more bunkers guard the left front and middle of the green, and a collection area waits just off the right front of the green for short approach shots hit offline or almost perfect drives. The area immediately left of the green slopes severely down to the lake, so shots hit left have a very good chance of ending up in the hazard. This Major event tends to throw up some unexpected winners with only Tiger Woods and Rory McIlroy being double winners in the last 20 years, so predicting who may be this year’s winner is no less difficult. With 156 golfers in the mix, it’s its anybody’s guess. The list of past champions includes; Davis Love III, Rich Beem, Vijay Singh, Phil Mickelson, Jason Day and in yesteryear, Nicklaus, Player, Trevino, Snead, Hogan, Hagen, Nelson, Sarazen but interesting, not Palmer! Some information on key players at the 2017 US Open is listed below…. He was the first Swedish major champion winning the 2016 Open Championship at Royal Troon with a record score of 264. A two-time European Tour Golfer of the Year he has spent 250+ weeks ranked in the OWGR top ten. 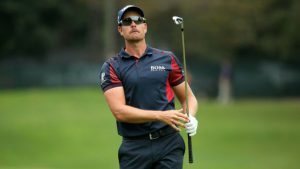 In 2013, Stenson won the U.S. PGA Tour’s FedEx Cup and the European Tour’s Race to Dubai in the 2016 Summer Olympics in Rio de Janeiro, Stenson won the silver medal…. so he’s no pushover! Dustin Johnson is currently still standing at No.1 in the World Rankings, so cannot be dismissed. OK, so not a great showing at the recent US OPEN, missing the cut but somethings tells us that Johnson is going anywhere anytime soon. He won the Asian Amateur Championship in 2010 and 2011. He is a four-time PGA Tour winner and an eight-time Japan Golf Tour winner. On 19 June 2017, Matsuyama became the world No. 2-ranked player on the Official World Golf Ranking after his runner-up finish at the 2017 U.S. Open. 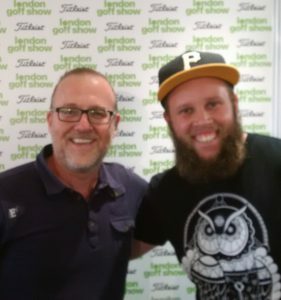 This English golfer is still learning his craft. 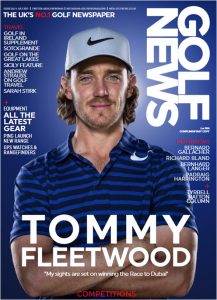 Hailing from North London has made many friends on tour in the last 12 months and whilst he only has one win on the European Tour, which came at the 2016 Open de España, this could be his kind of course. Known affectionately as ‘Beef’ since his youth, he has carried the nickname into his professional career and is very popular with the US galleries. But of course, any player could win the Wanamaker trophy! Having a flutter on Major golfing events is now commonplace for golf lovers and armchair sports fans. Many Betting firms have developed their product offering, making it very simple and quick to lay a wager. With websites, apps and multiple bets options now available, billions of £’s and $’s are spent each year on adding another dimension to the sport. So as 7th August approaches, keep an eye on the odds as they change. However, please bet responsibly. We will definitely be enjoying this year’s event for the comfort of an armchair! 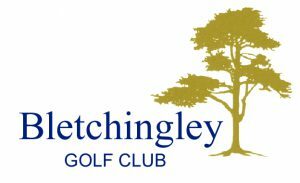 Golfers from all over the South East of England gathered at the Kent-based club Pedham Place on 10th June 2017, all hoping to be this year’s The Social Golfer Par 3 Championship winning golfer. Meanwhile, the event celebrated a new format, making for an exciting finish…. 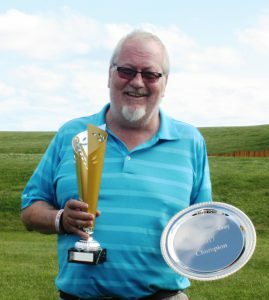 TheSocialGolfer.com (TSG), the online social networking community for golfers celebrated its 3rdth annual TSG Par 3 Championship at Pedham Place Golf Club in Kent with East London-based member Pete Mayo lifting the trophy! 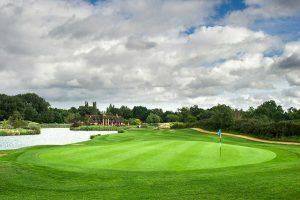 The event is normally played over the 36 holes on the Pedham Academy Course. 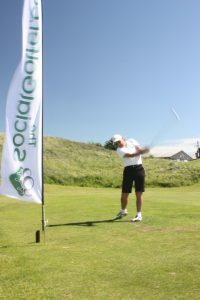 However, this year, instead of the standard stableford points determining the result, this year the TSG team created a new format whereby the event was played over 27 holes, with the top six points scorers going through to a 18th hole shoot-out! The six qualifiers made it an exciting competition, with Brigitte Lockwood (Twickenham), Noirin Fitzgerald (Shepperton), Jaspal Ranoo (Woolwich), Noel Loughrey (Berkshire), Steve Slater (Essex) and Pete all making gallant efforts to win through. Each shoot-out competitor was given two balls in a Nearest Pin competition with Mayo, Ranoo and Slater all making it to the Final. Slater fell at the first play-off hole but after the second play-off hole, Mayo held his nerve to win over Ranoo. The field ranging from 10 handicappers to 28 and the course (one of the best Par 3 in the South of England) proved to make for a hugely enjoyable contest. 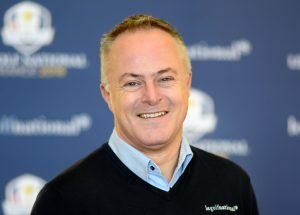 Owner of RolleyGolf, the Aspiration Group, will host almost 40 exclusive golf days this year at prestigious venues such as the four-time home of the Ryder Cup, the Belfry; Valderrama, home to the 1997 Ryder Cup; Open Championship venue Trump Turnberry; Tour stops Loch Lomond, Forest of Arden, the Grove, Kingsbarns, and Quinta do Lago; and five-star destinations such as Westin La Quinta, Stoke Park, the Renaissance Club, and Monte Rei. Whether the client is a professional football club, multi-national conglomerate, a charity or an individual – in the case of BBC sports presenter Dan Walker – each of the events will include a ‘beat the pro’ feature with the relevant professional using the innovative RolleyGolf to travel between the tee and green. What’s more, the Aspiration Group will also be taking orders for the new product at their events…. The original RolleyGolf was the result of five years’ meticulous R&D by the UK company and introduced golfers to a product which offered a choice between walking or riding around the golf course, as the machined movement creates a seamless transition from power-assisted walking trolley to a ride-on machine, all with one pull of a lever. The ground-breaking Rolley was quickly embraced by top clubs and players alike who were quick to see the potential for a unit which was less damaging to golf courses, while increasing the speed of play – an essential factor for many clubs wishing to increase green-fee revenue. Enhancements in the 2017 model include the lightest chassis in the range, meticulously machined from British aircraft-grade aluminium for increased strength and mobility; the most efficient and powerful TWINDRIVE system yet to appear on a Rolley – with intelligent braking, to quicker detect gradients, stopping users safely on even the steepest hills; plus environment detection sensors, ensuring excellent traction no matter the weather – and Wi-Fi connectivity. The introduction of a three-stage, fully adjustable, telescopic steering column, with a new twist-grip allows for one-handed operation, while the extended walk-mode handle, provides improved manoeuvrability on long walks, and the refined silent motor provides a greater power-to-weight ratio, for the ultimate ride. As well as being the greenkeeper’s friend – it is far less detrimental to turf than many other ‘ride-on’ products – the RolleyGolf’s flexibility to switch from walking to riding allows golfers to play 36 holes in the time it would normally take to walk 18, while also encouraging exercise in those seniors who would otherwise, faced with 18 holes, take a buggy or simply not play at all.